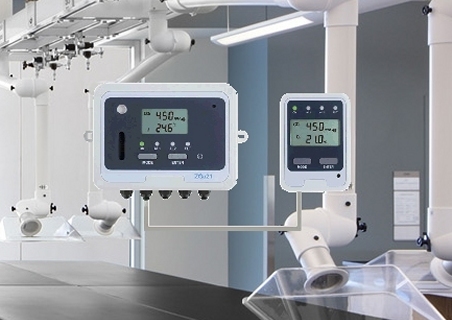 The Noventis Labsafe Dual Oxygen / Carbon Dioxide Detector unit is designed to detect the presence of Oxygen and Carbon Dioxide in ambient air for the protection of people in confined spaces and laboratories. 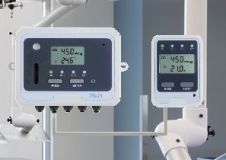 The monitor provides audible and visual indication of potentially dangerous levels of CO2 as well as low Oxygen levels in the air surrounding the instrument. The instrument uses an Infra Red sensor for detection of Carbon Dioxide and an Electrochemical sensor for detection of Oxygen. All together in an IP65 splash proof housing, its provides long, trouble free service, with minimum maintenance. The Alarm Repeater mimics the status indicators on the main detector enclosure. It also provides a push-button which operates in the same manner as the mode switch on the main enclosure. If you have more than one entrance to your store room you may need more than one remote repeater. Up to three repeaters can be daisy chained (one repeater linked to another) covering up to three entrance doors.